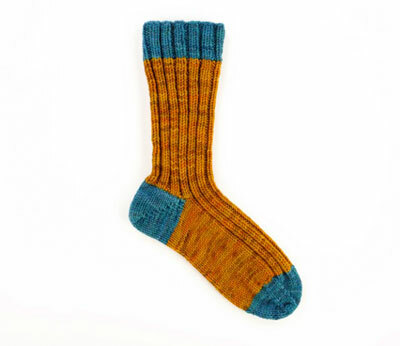 The cuff of a sock refers to an edging at the top of the sock of about 1–3 inches. The leg of the sock refers to the section below the cuff and above the heel. Of course, you don’t have to have a cuff at all. Simply begin your leg pattern right away, but note that some stockinette-based patterns may roll down at the top without an edging. Continue working straight, in the round, in the stitch pattern of your choice for the cuff and leg. Ribbing is a classic choice for sock cuffs and legs. Most knitters opt for 1 x 1 or 2 x 2 ribbing. To work 1 x 1 ribbing, * k1, p1 * and repeat from * to * around the sock. To work 2 x 2 ribbing, * k2, p2 * and repeat from * to * around the sock. 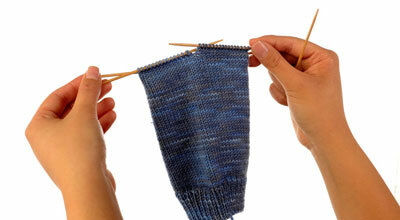 continue the ribbing straight down the leg for a close-fitting sock. The leg is where many sock patterns incorporate different types of stitch patterns, such as cables, lace, or color work. The patterning may then continue down the front of the sock to the toe. 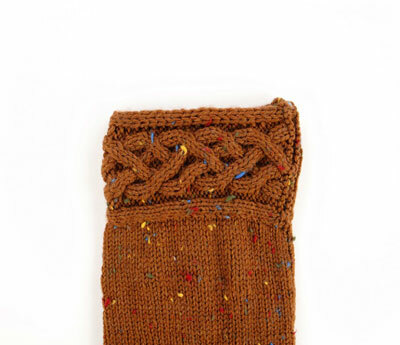 To incorporate a stitch pattern, figure out how many stitches the pattern requires. 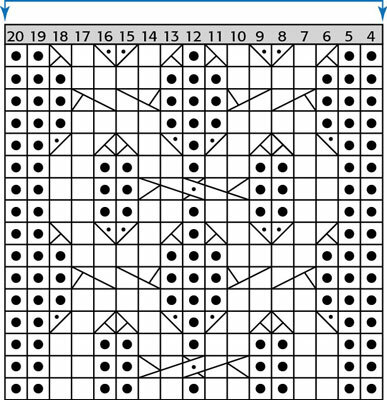 A lace pattern that has a 4-stitch repeat will fit nicely over any cast-on number from the chart, but it would be difficult to incorporate a 13-stitch repeat. 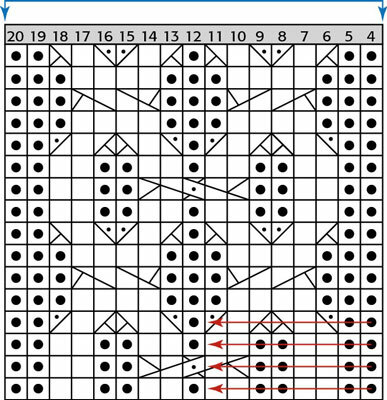 Many stitch patterns are presented through the use of charts. A chart is a pictorial representation of the knitted work viewed from the right (public) side. 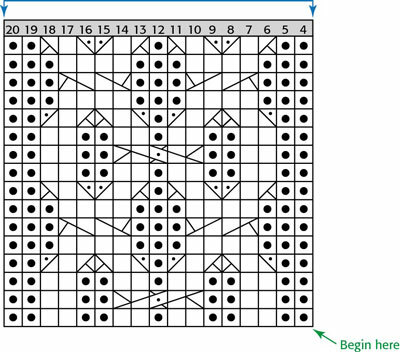 Each box in the chart represents 1 stitch in the knitting. The chart begins in the bottom right-hand corner. Read the line in the chart from right to left, repeating the entire box or an outlined portion as necessary, until you get to the end of the line. This is the end of the row. When knitting in the round, all rounds are read from right to left. When knitting flat, wrong-side rows are read from left to right—so the direction of reading the chart alternates between right to left and left to right on each row.